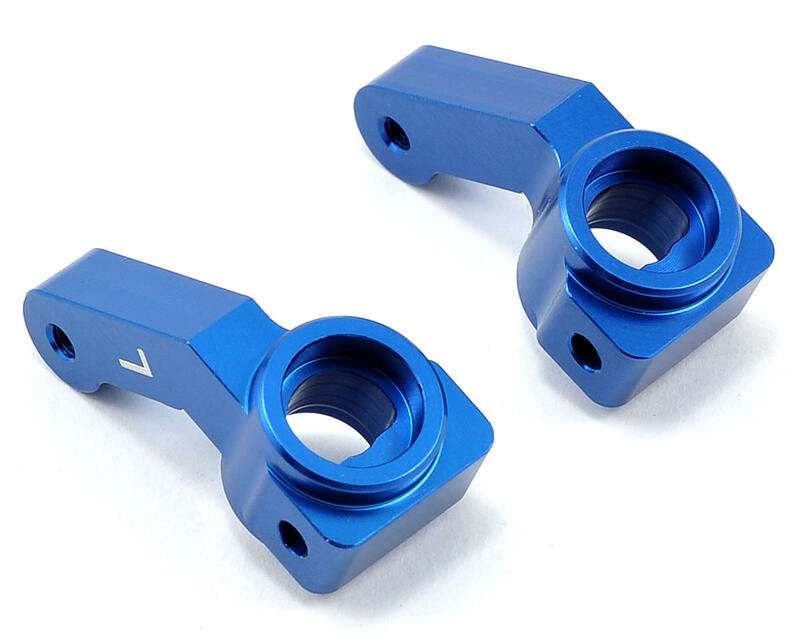 This is a set of optional ST Racing Concepts CNC Machined Aluminum Inboard Bearing Steering Knuckles, and are intended for use with the Team Associated RC10 T4, B4 and SC10 1/10 scale electric off road vehicles. These knuckles are CNC machined from high quality aluminum and are used to convert the front end of your Team Associated vehicle to hex drive. 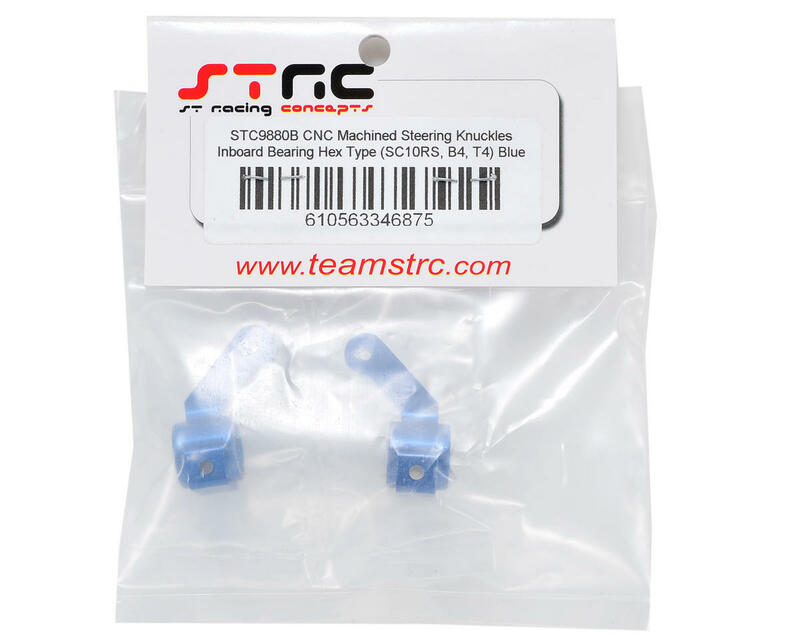 These knuckles are a direct bolt-on for the SC10RS short course truck but require additional parts to be compatible with the other RC10 based Team Associated vehicles. To convert the SC10 these parts must be combined with the Associated hex front axle set (ASC9881) and hex wheel adapters (ASC9883), as well as 12mm front hex wheels. To convert the B4, these parts must be combined with Associated B4 hex front axle set (ASC7496) and 12mm wheel hex adapters (ASC7497), as well as 12mm hex front wheels.